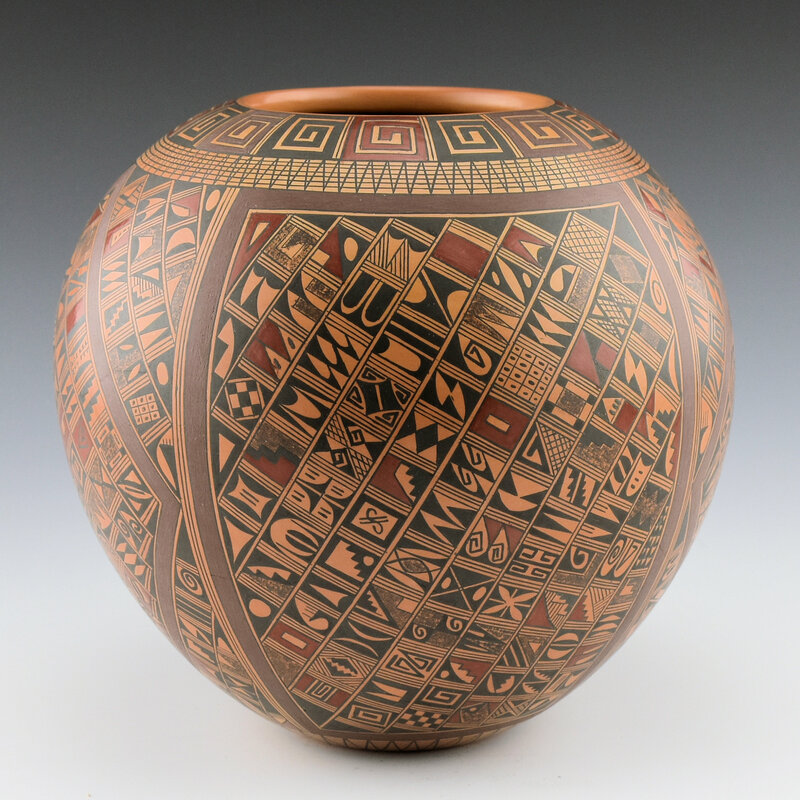 Rondina Huma has certainly been one of the most influential Hopi potters working today. 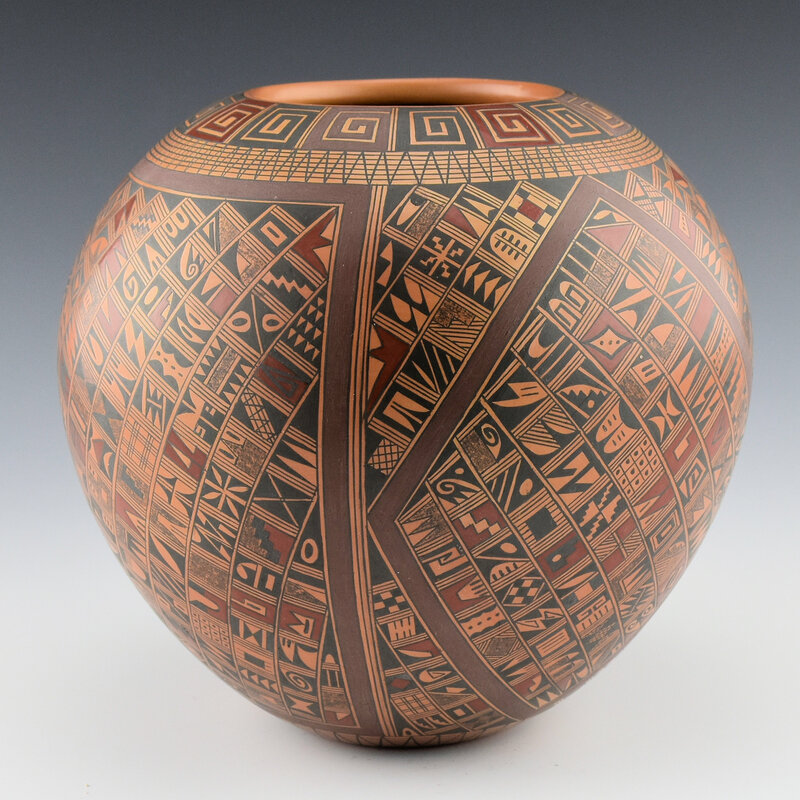 Since her two-time “Best of Show” award at Santa Fe Indian Market, her tight style and intricately painted pottery has changed the face of contemporary Hopi pottery. Each piece is coil built, fully stone polished and painted with native clays and bee-weed (black), and native fired. 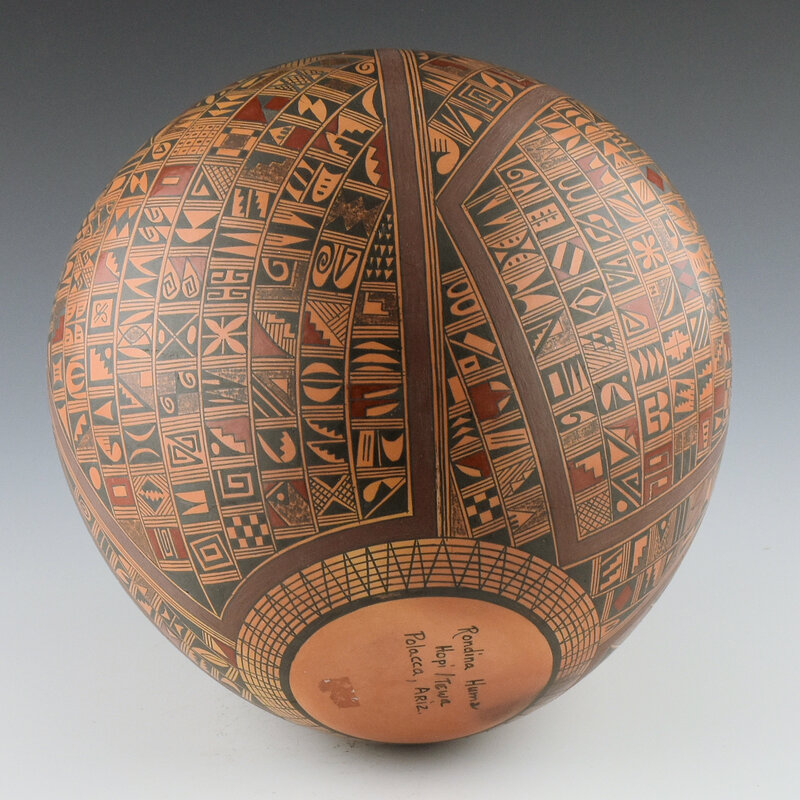 This is one of her larger bowls and it is fully painted. 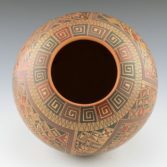 The rim has an eternity band and the body of the bowl is divided up into sections. 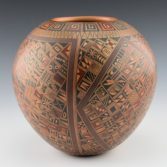 The burgundy colored clay is left matte and is typically a border while the red is stone polished. Each of the section is hand painted and was inspired by pottery shards. This is one of her later pieces and the shard design is very tight and very small. Rondina says that she tries to not duplicate the same “shard” patterns on the same vessel! The bowl is traditionally fired which creates the dynamic coloration in the blushes on the surface. One of the most amazing parts of this bowl is one that you can’t see. The entire inside of the bowl is fully polished! 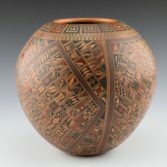 Rondina typically makes the mouth of the bowl large enough so that she can fit her hand into the piece and stone polishes the inside. Almost no other potters still do this but Rondina says it’s just the way she was taught! It is in excellent condition with no chips, cracks, restoration or repair. 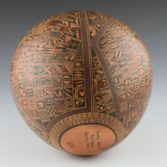 It is signed on the bottom in the clay.